Given all the backlash we’ve witnessed recently against President Trump because of his family separation policy and his statements at the Helsinki summit about Russian interference in the 2016 election, it would seem fairly predictable that at their next opportunity, the people will turn against Trump and his party in the voting booth. There’s a difference, however, between a swing in public opinion and a tangible difference in vote counts. That difference comes down to voter turnout—and according to Vox, there’s a good reason to worry about Democratic turnout in the November midterm elections. The problem is that the Democrats’ base largely consists of young voters, and that demographic has struggled to show up for midterm elections. Public Religion Research Institute data shows that only 28 percent of adults under 30 are “absolutely certain” they’ll vote in 2018, compared to 74 percent of seniors. This is just one poll, and others have shown different results. 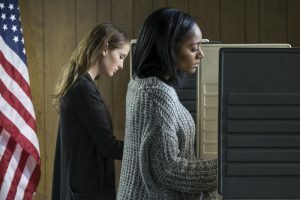 For example, an Associated Press/University of Chicago poll revealed that 32 percent of young voters will “certainly” vote and 56 percent are “likely” to do so. Still, though, the Democrats need a massive surge of young voters to realize their dream of an election that will “flip” Congress. However, there’s still cause for concern about whether that’s realistic. For any Democrat who’s feeling overconfident about toppling the Republican regime in November, a quick look at recent history will wash that feeling away in a heartbeat. The party has a lot of work to do before it can put its midterm turnout problems to rest. It can’t be overstated that 2014 was an abject disaster for Democrats: turnout from the voting-eligible population in that election was just 36.4 percent, according to the United States Elections Project, which was the lowest rate since World War II. At the time, a Republican Congress didn’t seem like a big deal because Barack Obama was still in the Oval Office, but it sure became one. 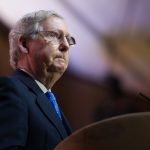 Mitch McConnell’s ascent to the role of majority leader set up a massive standoff between the two parties, culminating in an ugly Supreme Court fight in 2016 that resulted in President Obama’s nominee to the court, Merrick Garland, being completely snubbed. With the Court now on the verge of being reshaped for a generation, we’ve all been made painfully aware of how important midterm voting can be. The Democrats have a clear advantage right now in terms of the will of the people, especially that of younger voters. Vox also noted CIVIQS data on a generic House ballot for 2018 shows that Democrats have a 33-point advantage among young female voters. Among young male voters, it’s 11 percent. But the younger crowd opposed Trump in 2016 by roughly the same margins, and Donald Trump managed to win anyway because many voters simply sat the race out. The Democrats have a problematic history with turnout in midterm elections. Most recently, in 2014, the Democrats lost control of the Senate when only 23 percent of young voters cast a ballot. Even a massive jump from that figure would still leave the party’s candidates in a tough spot. The good news on the blue side is that young voters appear far more engaged now, with Donald Trump as president, than they did under Barack Obama or George W. Bush. Will that engagement be enough to set the “blue wave” into motion with this year’s midterm elections? That, at least for now, is a tougher question.